POXILINA® is a two-component epoxy putty ideal for repairing pipes made of iron, bronze, PVC, polypropylene, lead, etc. Once applied, it hardens in 10 minutes. It also adheres on metal, ceramic, glass, cement, fiber-cement, wood and plastic materials (except for polyethylene and Teflon). 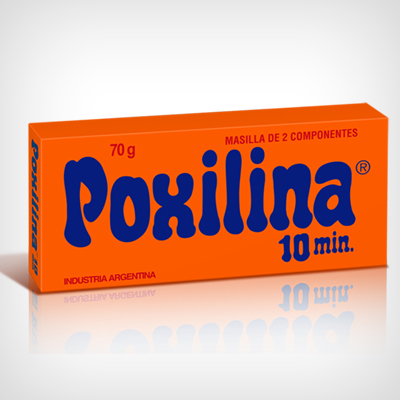 POXILINA® 10 Minutosis available in 70 g, 250 g and 1 Kg cases. POXILINA® Fraguado Lentois available in 70 g and 250 g cases.